Here’s a new painting from a pen and ink I did while waiting for an old boyfriend who was at his therapist’s. 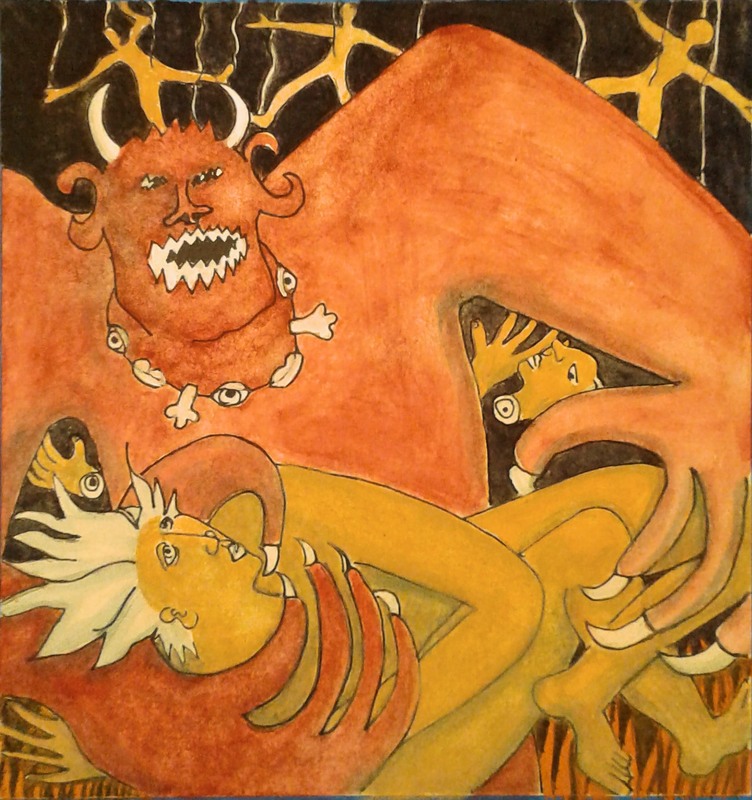 Am calling it “The Devil’s Lair,” watercolor and ink by Bea Garth. I like how pen and ink and watercolor really go together. Am thinking of doing more for Clark County Open Studios this November 11th and 12th and beyond!